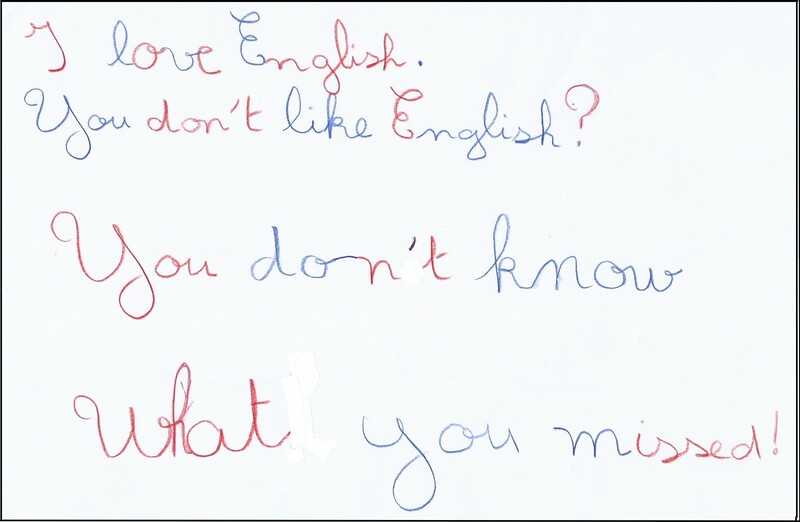 MMG's English blog at PMCurie | Mohamed loves English! This entry was posted in 6e-5e, TEXTS. Bookmark the permalink. This is the drawing of my son. Hi Mohamed, it’s lovely to hear from you! 🙂 How are you?